This sounds strange but the key to solving India’s pension problem lies as much in the pension system as in reducing the need for pension. On its 10th anniversary, one can finally say that the National Pension System (NPS) has sort of settled down. For something that was supposed to be a no-brainer—an utterly simple way of saving for retirement, the NPS has had a fairly rocky time. Even now, it’s hardly a secret that except for government employees who have to compulsorily save for their pensions through it, the NPS has not yet attained the kind of ubiquitous use that it should ideally have. Voluntary use of the NPS is minimal—a situation that is now changing slowly with the introduction of the Rs 50,000 additional tax break that it provides. Even though there are still some challenges in its path, the core qualities of a retirement product are in place. The cost is low and most importantly, an excellent investment track record has been built. That’s crucial, because the most critical aspect of a retirement system— it’s very reason for existence—is how well off the retirees will be in their old age. If a pension system can deliver on that, then the rest will eventually fall into place. Anyone who has raised any doubts about the efficacy of the investment model of NPS no longer has a leg to stand on. The returns are excellent, as you can see by visiting vro.in/nps, where Value Research publishes the most extensive analysis of all NPS plans that are available anywhere. Moreover, the ultra-low cost model of the fund management is now clearly showing its salutary impact on the returns. The effect of the low-cost compounds strongly as the years go by and therefore, over the long periods of time that the NPS saver will stay invested, the impact will be strong. An important facilitator has been the sorting out of the tax problem of NPS last year. Till December 2018, the NPS had a split taxation structure, more complex than any other form of savings. 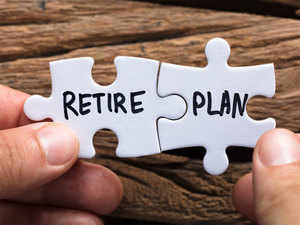 The situation was that when NPS members retired, 40% of the accumulated value had to be compulsorily used to purchase an annuity and this amount was tax-free. The remaining amount could be withdrawn and was taxable. From December onwards, it’s all tax-free. This is how it has always been in schemes like the EPF. There’s still the fact that 40% has to be compulsorily put into an annuity. Many savers don’t like this but I think that’s a judgement on the quality of annuities available in India. Well before the first lot of NPS members start retiring, I would expect the annuity situation to be cleaned up. So this is the part of the story that’s good. Unfortunately, the voluntary take-up of NPS is still the missing piece of the puzzle. Having watched investor and seller attitude to NPS closely, I strongly feel that this is a real challenge. All kinds of measures will be needed, including stronger tax-saving incentives, specially at the lower end. Perhaps an automatic universal creation of an NPS account, with some kind of a seeding system for initial deposits, could be implemented. This sounds strange but the key to solving India’s pension problem lies as much in the pension system as in reducing the need for pension. When you look at the actual savings and post-retirement finances of a lot of people, you realise that just as important as the NPS are low inflation and a functional public health system. Whether the NPS will meet its goal or not will be as much decided by continuing sensible fiscal policies and the success of the Ayushman Bharat plan.